I have been to Col de la Croix Blanche twice in the last week. The weather has been brilliant and at only 830m altitude at the summit, Croix Blanche is not too difficult. It is still a Pyreneen col and has the steep pitches expected in this part of the world. I went the easy way, but there is a much harder way to get to the Croix Blanche. The col is between Lourdes and Bagneres de Bigorre. It offers great views over the plains to Tarbes and beyond. The best thing about this climb is the beautiful quiet roads. Col de la croix Blanche – The hard way. From Pyrenees Cycling Lodge I rode down to Argeles-Gazost and took the Voie Verte (Green Way) to Luganan, approx 3km from Lourdes. The Voie Verte is fantastic, an old tramway which has been tarmaced over for use by cyclists, rollerbladers and pedestrians. The speed limit is 30kmph. If you’re a speed freak it’s best to take the road. Exit the Voie Verte at the cafe, there is a carpark, village hall and a hotel. You turn left onto road D13 direction Lourdes. After 100 metres you will see the road turning left and another small road straight ahead. The road straight ahead is the D26 which is the way you need to go. Vallée de Castelloubon, half way up. This is where the climb starts. It is 13km to the summit. The first 8km take you to Col de Lingous at 575m. Mostly it is 3% or 4% but there is one section of 200 metres at 8%. At Col de Lingous there is a 4 crossroads. Take the right turn to continue on D26, direction Neuilh. Very shortly there is another junction. Continue straight for the easy route or take the right turn for the hard way. Either way is just over 5km. I continued on the easy way. It gets a little steeper here and perhaps even a little more beautiful. It is a very narrow road, not much wider than a car. 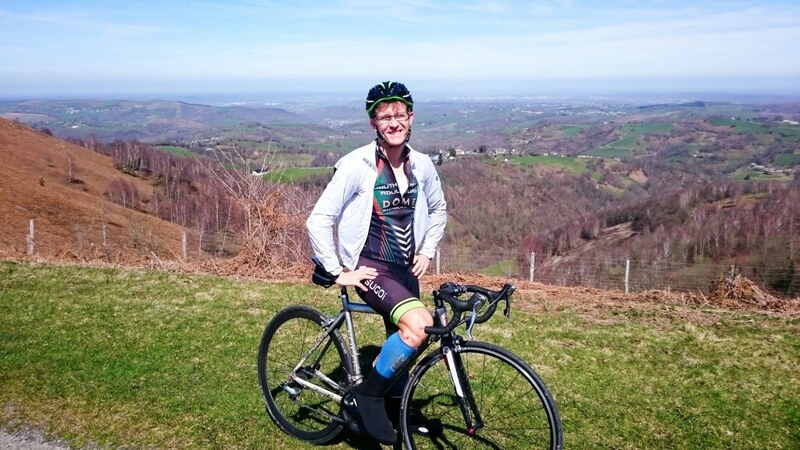 Ben Madsen from Perth, Western Australia at Col de la croix Blanche with Tarbes in the distance. With 2 km remaining there is another right turn leaving the D26. It is sign posted for Col de La Croix Blanche. Here the road kicks up sharply to over 8 %. It undulates the rest of the way and even stretches to 12% for a short section. You will roll down hill to the col. There is no sigh to indicate that you have arrived at the col. However you should see an iron cross painted white on the right hand side of the road. The view is spectacular on a clear day. If you take the hard way you will arrive downhill from the other direction on road D99. Col de la Croix Blanche. My schoolboy sense of humour cracks up every time I see this. It’s not as painful as it sounds. 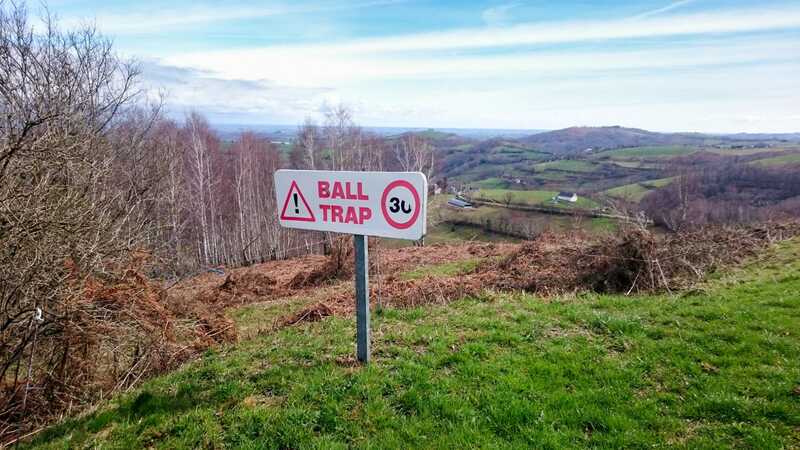 “Ball Trap” is the French term for Clay Pigeon. It is not a spectacular climb like the HC monsters to the south, but is highly recommended for the quiet roads and beautiful bucolic scenery. If you are going to ride the eastern side of Col du Tourmalet continue on D26 to Pouzac just north of Bagneres. It is a great alternative route to the Main road between Lourdes and Bagneres, D937. After moving to Tarbes in January, I regularly rode these roads waiting for the big cols to open. 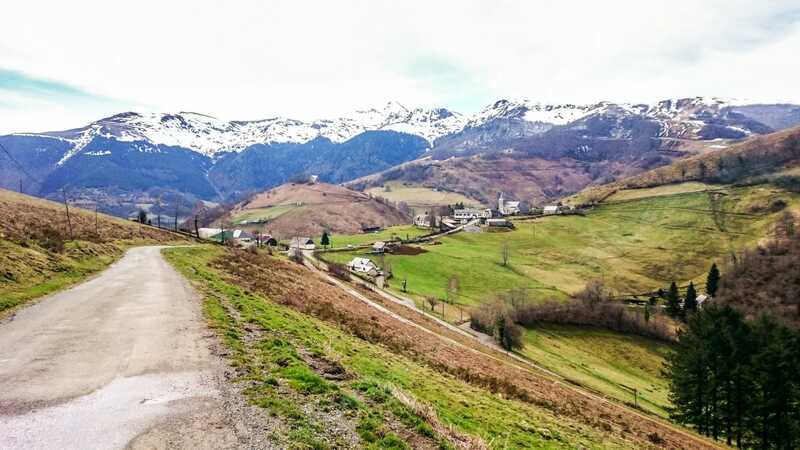 The experience proved the perfect introduction to the Pyrenees. Beautiful scenery, very little traffic and stunning views over the lowlands to the north. Thoroughly recommended. Glad you are enjoying the website and the mountains.